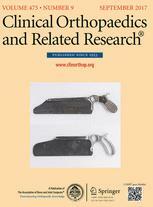 The wear resistance of highly crosslinked polyethylene depends on crosslink density, which may decrease with in vivo loading, leading to more wear and increased oxidation. The relationship among large and complex in vivo mechanical stresses, breakdown of the polyethylene crosslinks, and oxidative degradation is not fully understood in total knee arthroplasty (TKA). We wished to determine whether crosslink density is reduced at the articular surfaces of retrieved tibial inserts in contact areas exposed to in vivo mechanical stress. 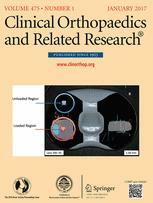 (1) Does polyethylene crosslink density decrease preferentially in regions of the articular surface of thermally stabilized crosslinked polyethylene tibial components exposed to mechanical stress in vivo; and (2) what is the ramification of decreased crosslink density in TKA in terms of accompanying oxidation of the polyethylene? 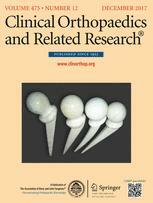 From May 2011 to January 2014, 90 crosslinked polyethylene tibial components were retrieved during revision surgery as a part of a long-standing implant retrieval program. 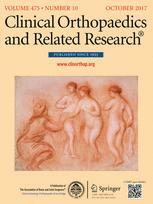 Forty highly crosslinked polyethylene tibial inserts (27 posterior-stabilized designs and 13 cruciate-retaining designs) retrieved for instability (15 cases), stiffness (11), infection (six), aseptic loosening (four), pain (two), and malposition (two) after a mean time of 18 months were inspected microscopically to identify loaded (burnished) and unloaded (unburnished) regions on the articular surfaces. Swell ratio testing was done according to ASTM F2214 to calculate crosslink density and infrared spectroscopy was used according to ASTM F2102 to measure oxidation. 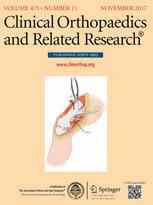 The region of the tibial insert influenced crosslink density. Loaded surface regions had a mean crosslink density of 0.19 (95% confidence interval [CI], 0.18–0.19) mol/dm, lower than the other three regions (loaded subsurface, unloaded surface, and unloaded subsurface), which had crosslink densities of 0.21 (95% CI, 0.21–0.22; p < 0.01) mol/dm. Peak oxidation levels were higher in loaded regions with a mean oxidation index (OI) of 0.67 (95% CI, 0.56–0.78) versus unloaded regions with a mean OI of 0.36 (95% CI, 0.27–0.45; p < 0.01). Peak oxidation levels were higher in annealed samples with a mean OI of 0.66 (95% CI, 0.52–0.81) versus remelted samples with a mean OI of 0.40 (95% CI, 0.34–0.47; p < 0.01). The results suggest that the crosslink density decreases and accompanying oxidation is driven predominantly by contact stress conditions. If crosslink density continues to decrease with continued loading over time, crosslinked polyethylene may not provide a clinical advantage over conventional polyethylene in the long term for TKA. Therefore, we will continue to collect longer term retrievals to evaluate mechanical property changes in crosslinked polyethylenes. Although we found a decrease in crosslink density and increase in oxidation in the tibial inserts, the degree of oxidation does not suggest, for now, a reason for concern in these early retrievals. The OI values of the tibial inserts in this study were lower than the critical oxidation level (OI > 3) reported in the literature where polyethylene may lose mechanical properties and have the compromised ability to withstand mechanical loading.